From spring 2018 it is possible to rent also riding gear on top of the motorcycle hire at Renditsikkel. There is a range of motocorss, enduro and street riding equipment for adults as well as children. The prices for KTM Powerwear – O’Neal street riding gear start from 50 Euros/day; Premium street riding equipment (“GORE-TEX Experience” powered by KLIM, SHOEI, ALPINESTARS, TOURATECH) prices start from 100 Euros/day. 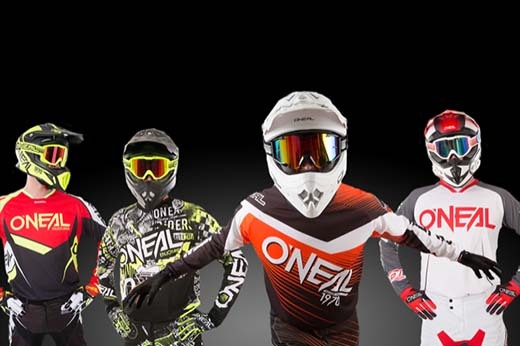 Basic motocross and enduro equipment (O’Neal) costs 40 Euros/day, Premium motocross and enduro equipment (SHOEI, KLIM, ALPINESTARS) costs 60 Euros/day. Motocross riding gear for children costs 30 Euros/day. Equipment can only be rented with a rented motorcycle.